Enriching lives and enhancing living through community caregiving is what Good Shepherd Interfaith Volunteer Caregivers (GSIVC) offers through the use of volunteers. Some examples of our most requested services include transportation to and from medical and non- medical appointments, friendly visits and wellness calls. The mission of GSIVC is to provide informal volunteer caregiving to home-based aging or disabled Jefferson County residents of all ages. Our goal is to assist families and promote independence, dignity, security and quality of life among the elderly, disabled, frail and homebound residents, regardless of income or family circumstances. 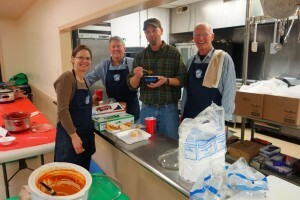 stown Rotary Club with the goal of creating a stronger, more caring community. By mobilizing resources and support from faith congregations and the wider community, we reach out to our aging or disabled families in need, filling the gaps left by private and government support services. This organization identifies and provides volunteer support services to eligible residents. The goal of the service is to help residents using the service to remain in the community while maintaining their contact with the community. Our free, non-medical caregiving services are all provided by volunteers and include transportation to medical appointments, yard work, light housework, friendly visits, wellness calls, and medical equipment loan.